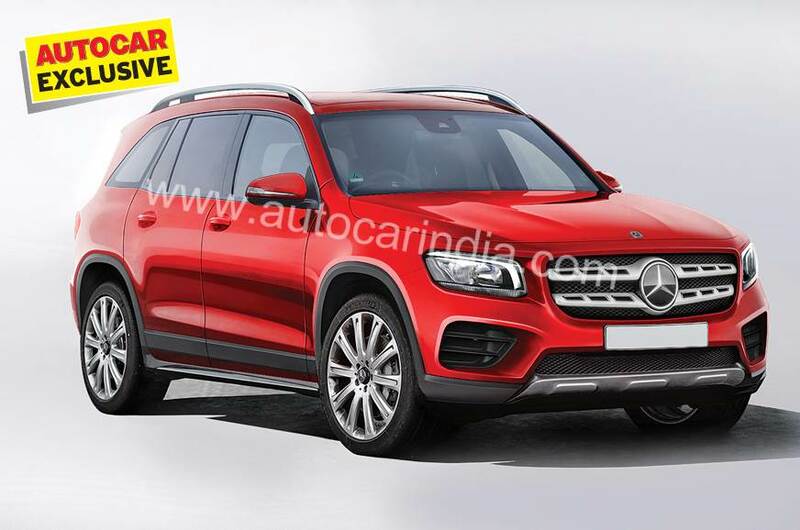 Autocar India reports that the Mercedes GLB, which is slated to debut at 2019 Shanghai Motor Show (16-25 April) this month, will be launched in India. The Mercedes GLB will look tougher and decidedly more rugged than the Mercedes GLA. Basically a production version of the Mercedes Vision Ener-G-Force concept, the Mercedes GLB will be bigger in size and more masculine in design compared to the Mercedes GLA. The production version won't look as aggressive and dramatic, though. It will be slotted between the GLA and the GLC in the line-up. The Mercedes GLB will be underpinned by the MFA2 front-wheel-drive platform that currently forms the basis for the Mercedes A-Class and Mercedes B-Class. In fact, it will be the largest model to be based on this architecture. It will measure roughly 4.6 metres in length and offer a generous boot space of 500 litres. It will have two versions - 5-seat standard wheelbase and 7-seat long-wheelbase. Several reports claim that the latter will offer 120 mm of extra wheelbase. Furthermore, it is being reported that it will be possible to remove the third row of seats entirely for increasing the luggage space. Mercedes GLB is expected to have a highly spacious and flexible interior that will be brimming with several comfort and convenience-enhancing features. In India, it is likely to be powered by the OM654 2.0-litre diesel engine that is expected to be available in two power tunes - 150 hp and 190 hp. A recently released illustration reveals several familiar bits, including an A-Class-like steering wheel and a widescreen virtual cockpit. India will likely get the Mercedes GLB from Mexico, where production is expected to commence towards the end of 2019. It is expected to cost upwards of INR 40 lakh (ex-showroom).